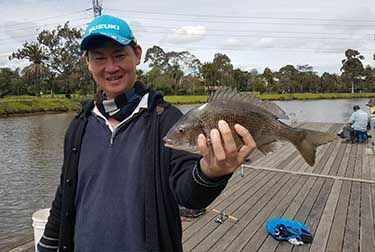 Melbourne Cup day started slowly when mates Alan Bonnici, John Regali and Jeremy Ang got together for a fishing session on the Nong. The bite was slow but things picked up on the tide change with many size Bream between 30cm and 38 cm being caught. The most productive baits were live Scrub worms, maggots and yabbies. The catch of the day was a nice plump 38cm Bream which always gives a great fight on the light gear.